An easy-to-use tool helps produce professional reliability block diagram with pre-made templates. Quickly and easily create reliability block diagram in minutes. A reliability block diagram is used to show how component reliability contributes to the success or failure of a system. It performs the system reliability and availability analysis on large and complex systems using a series of blocks. 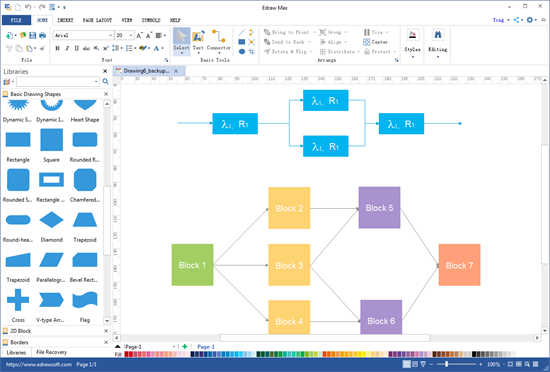 As an all-in-one diagram maker capable for more than 200 types of diagram drawing, Edraw makes it a piece of cake to create reliability block diagram. Every beginner could handle the software as it's quite similar to Microsoft Word. Totally drag-and-drop based, you can layout your diagram to any style you want. The built-in designed themes let you apply color scheme and format effects with one click. When finish, it's easy to share your work with your colleagues as it can export to PDF, Word, PPT, Html, JPG, and many other formats easily. Discover why Edraw is an awesome reliability block diagram software: Download it Now. 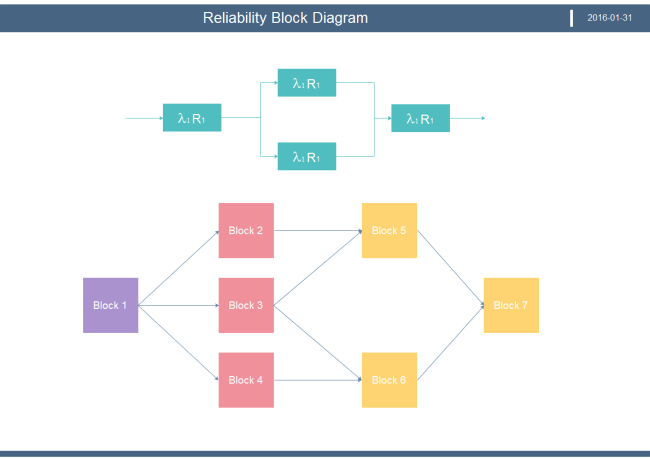 Click the picture below to download the editable reliability block diagram template, and open and modify it with Edraw.